Getting up, getting ready and leaving for work. Maybe you tried to spice up a bit, and you got an app prepared to improve a specific problem you found around you. If you answer NO to, then we praise your efforts and wish you luck for your future endeavours, but if you want something green out of your app, then you must read on. How intrusive are your advertisement? What is the frequency of those advertisements? Is the advertisement an advertisement for other 3rd party apps or your app? It is essential to address these issues as these are make or break point for applications. User experience plays an important in retention and these issues if not addressed could frustrate the users and make them uninstall your apps. Now we have got that cleared let’s see what kind of advertisement exist. What Is An Interstitial Advertisement? Interstitials advertisements are merely the advertisements that you see in the intermediate processes of an app. 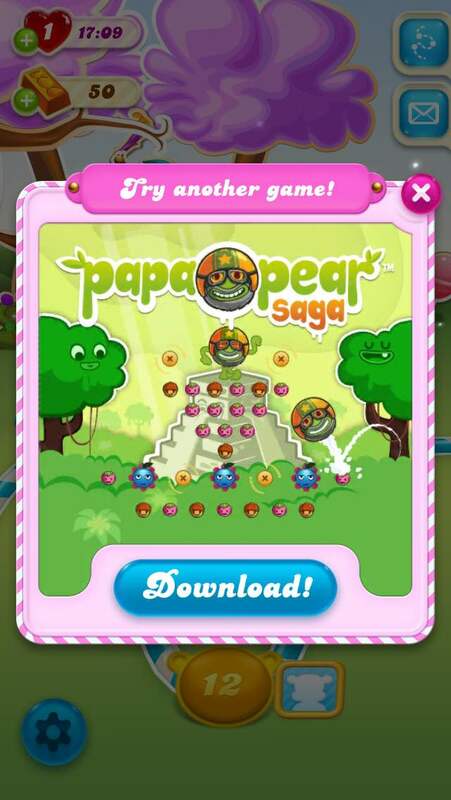 For example, you open up the game Candy Crush, while it gets connected to load your user info, there is an advertisement that covers your phone screen with a promo code or a suggestion to another similar game, and this advertisement has an option of closing it down. What Would Make You Use Interstitial Advertisement? Since these advertisements play out for a certain period, in between transition, they gain the attention of the user. They are more likely to be clicked and hence generate revenue. Why Would You Choose To Not Use Interstitial Advertisement? Frequent interruptions hinder the users to get the task done. These interruptions may frustrate the end user, and he/she may end up uninstalling your app. How does Google view your advertising strategies? Google has started penalising mobile sites with interstitial advertisements. If you plan to make a website for your app, then refrain from doing as all your SEO efforts could go down the drain with low page ranking of Google Search Engine. Banner ads are the small textual/visual ads you see near the top or bottom of an app. These are apps have a fixed area and often show up on the home screen of the application. There may be a slideshow of banner ads depicting various brands. What Would Make You Use A Banner Advertisement? These ads are non-intrusive, and they do not make users mad. They are easy to create and integrate since they are localised at a particular position. Also, banner advertisements are easy on the pocket too. Why Would You Choose To Not Use Banner Advertisement? Native, as it suggests, are advertisements that disguise themselves and are presented as a part of the original. You could usually see them with taglines such as sponsored or recommended for you. For example, in your Facebook feed, you see content that guides you to another page but is not intrusive nor placed at a particular location. Another example could be advertisements that you find near the scroll bar or at the footer of the page while reading an article and there is sponsored or recommended content. What Would Make You Use Native Advertisements? Native advertisements are less intrusive when compared to banner advertisements. They integrate well with the application and hence enhance user experience. Why Would You Choose To Not Use Native Advertisements? Apps which uses native advertisements need personal information for analysing browsing activities to make those ads feel more personal and this why they also take longer to download than those apps which do not make use of native advertisement. Now this may lead to people downloading your app less as time and patience of a user is limited and hence user tends to abort the download process in between. Also, these type of apps needs frequent upgrades which is why you could see why your Facebook, Instagram apps are asking for updates after just a few weeks. What is Video Reward Advertisement? These type of advertisement are usually seen in-game applications where to gain specific feature in their gameplay user opt to see a video ad at the end of which they gain a certain amount of in-app currency and buy what they want. These type of adverts are also seen where to unlock some content let’s say an article you see; there is an option to see that hidden content by viewing a video. What Would Make You Use Video Reward Advertisements? Video reward advertisements engage the customers. They provide a way for exploring the app more free of cost. They offer incentives which is a big positive for any application out there. Why Would You Choose To Not Use Video Reward Advertisement? Video advertisement could be seen as an easy way out for users not wanting to spend. Users who use in-app purchases to enhance their experience feels cheated this way. Read on more to find in-app purchases. If you’ve read our article on Game Business Models, you’d know that games can be sold in two ways. Mobile applications follow the same monetization methods. App Purchases revenue model constitutes the freemium model, , trial game model, as well as the premium model. Freemium apps are the apps which do not charge you anything for the core features, but the add-ons and extra features are available at a predetermined cost. This mode of monetisation popularises the app among different genres because of the flexibility provided by providing useful features free of cost and premium features at a price. Users are given options to buy the virtual currency of the game via watching videos, or they do buy the virtual currency using real currency. For example in games, gamers use in-app purchases to customise their outfits or buy new weapons(in case of shooting games). Another example could be photo editor apps which provide a specific set of overlays for editing your photo and individual frames, and layers are tagged premium features. This way users are not forced to spend their money. From their first session with the app, we’re trying to develop trust with users. And we do that by demonstrating value without asking anything from them first. -JP Chookaszian, Director of Revenue at VSCO. Premium app business model is the among the oldest business models where the developers charge an upfront price before letting the users download or use the application. This revenue model works well when the users are professionals who demand everything without any interruptions. There is another way to test the strength of your app. Trial versions are similar to freemium versions but they limit the access to core features too. As the name suggests, trial versions let the users try the application before buying it. An app with trial version makes the user comfortable with the way things work and therefore gives a high probability of users buying the full text of the app by paying. Ever wondered how Google Maps make money? Uber, Lyft, Ola, and every company which uses the Google Maps API for commercial purpose, pay Google for the same. API (Application Programming Interface) is a software intermediary that allows two applications to communicate and share data with each other. Compare it to a set of Lego pieces connected to build a castle; you connect a bunch of different micro-services interconnected by APIs to build a full-fledged service. By making your app API available via open source you could earn money as developers could use a specific section of your code and thus you could generate revenue. Data of your users could be given to 3rd party apps for their research for money, but it is essential to provide users with the control of what content they want to share. The most recent controversy which forced every big multinational company to restructure their privacy policies is the Cambridge Analytica breach of Facebook user data. Your app should be bug-free. To ensure this, you must invest in your developer team. Everything is secondary as no one can sell a lousy product forever. User Interface and User experience(UI/UX) are the areas you must focus on as the look and feel of the app is now more critical. Going out in the field, conducting FGD (Focussed Group Discussion) about possible UI/UX for the app could give you some useful insights about how to structure your app. The strata of the society you are targeting also become important because this is an important aspect as far as the usage of the app is concerned. Photo editor apps are seen to be more popular among users of Instagram which include people of age 25-35 while apps like Facebook seem to garner more popularity among the older generation. Generational gaps and habits play a vital role, and you could read more about generational difference between Gen Z and Millennials; two of the most prominent generation of the 21st Century here. You must know the market you are entering. It is essential to know whether the market is hypo or hyper. Hypo market is a market where the domain of your app is never explored. In such a market, your app may prove to be revolutionary, but it may also be super-flop as people could have no idea about what it is actually. In a hypermarket, there is already a lot of choices, and therefore it may become difficult for you to establish a name for your application. There might be logistic issues also if you try to promote your apps and careless evaluation might also drive your venture towards bankruptcy. With the advent of platforms like Instagram and Facebook, it has become affordable to advertise your company. Social Media campaigns have gone viral for such thing and will go viral even in the future. The target audience of teenagers and youth tend to adopt a norm that is famous, and a viral app is one of them. For example, Mirakee or DubSmash was used by a celebrity, and this concept was rapidly adopted by their followers. Print Media is another way to advertise your advertisement. Print advertisement requires significant resources for producing an impactful image. This way there is a high probability to engage new users and this way you could generate more revenue. Users are generally asked to link their mobile numbers or email for various purposes. These could be used to send users customised messages enticing them to perform a particular action on the app. For example, you might have received quite a few emails regarding offers that are soon going to get expired especially in the case of video games. App making and monetising is a difficult task. It may take you several months to get the app up and running and even more time to earn revenue from it. Market research, careful application of advertising will help you place a firm footing in this market and pave the way for your future endeavours. Did we miss something? Come on! Tell us what you think about our article on app revenue model in the comments section. Hey Buddy!, I found this information for you: "Identifying The Best App Revenue Model". Here is the website link: https://www.feedough.com/identifying-the-best-app-revenue-model/. Thank you.